From 1673 to 1675, our Lord appeared to St. Margaret Mary Alacoque, a French nun belonging to the Order of Our Lady of the Visitation. St. Margaret Mary took this mission seriously, recording Jesus’s words in her diaries and working diligently to lead others to his Heart. At first unsuccessful, she finally won over her superiors and in 1688, her convent celebrated the feast of the Sacred Heart for the first time. Soon after, a chapel to the Sacred Heart was built and the devotion spread from there. Our Lord blessed St. Margaret Mary with many apparitions during which he gave her beautiful and important messages to be spread throughout the world. 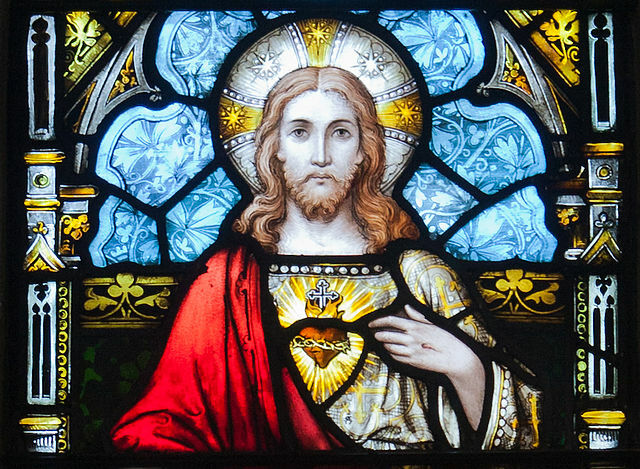 The most famous of these include the 12 Promises to those who consecrate themselves to his Sacred Heart and the Nine Promises to those who observe the First Friday Devotions. But, there are three other things that Jesus said to St. Margaret Mary that deeply touch my heart and that I feel the need to ponder. This one moves me to tears every time I read it. That Jesus would, even for a millisecond, feel unloved after all he endured for us tears me to pieces. What makes it worse for me, is knowing that he continues to experience that suffering during every Sacrifice of the Mass. From the Cross, he saw – he felt – the coldness of all those who would let their love for him fade or turn their backs on him entirely. Notice that Jesus says surrender to God’s will is “the one thing necessary” and not “one of the things necessary.” Most certainly, he spoke purposefully, choosing his words carefully. Nothing matters but God’s will. That can be extremely difficult for me, and I need to be reminded of that time and time and time again. Furthermore, Jesus points out that anything we undertake of any import must be approached and come to life only through prayer. Only then, will we be able to get it right. Only then, will we be able to face the tough stuff that comes our way. If we do that, Jesus promised that God will communicate, counsel, and inspire us. Jesus calls himself a Prisoner of Love, and indeed he is. He remains there, kept “prisoner” in the consecrated Host waiting for us to come and release him – by receiving Holy Communion – into our hearts or by adoring him in Eucharistic Adoration. Think about the last time you were waiting for someone you love very much to come home from a trip or even just from work or school. Think of the yearning in your heart, the anticipation of seeing that person, and the absolute delight in seeing him or her approach and meeting them face-to-face. Now multiply that by about a billion zillion times and you might get close to the way Jesus feels when we approach him in Communion or Adoration. There’s another part to that quote that I find even more impactful, at least for me personally. Were you weak or ill in body, surely you would find time to see a doctor who would cure you? Good golly! What’s the first thing you do when you have a headache? I’ll bet you reach for the pain reliever. What happens when you have fever, aches and chills, and just can’t seem to pull yourself out of it? I’ll bet you had to the doctor. I’ll bet you seek professional help whenever you’ve got things going on with your body that you can’t figure out. I know, because I’m the same way. Our souls get sick as well. We become weak, listless, and spiritually unhealthy and yet we either put offer don’t think about heading over to see the Divine Healer who has the ultimate cure. God alone is able to give strength and health to our souls. I know that, and still I often forget it. No matter how “sick” I’m feeling, God has the remedy. Always. Every time. No matter what the sickness. All I have to do is flee to him. Jesus appeared to St. Margaret Mary in order to assure her that he is waiting for us to come to him, to love him, and to allow him to love us. Because of that, we know have the feast and devotions to the Sacred Heart. Now I’m asking myself, How will I respond? Catholic Church, Sacred Heart of Jesus, St. Margaret Mary Alacoque. Bookmark.